How are you doing? It´s been a while since we spoke last and I miss our deep conversations terribly. Remember how you told me that you always wanted to be a journalist or a hotshot detective when you grow up as a child? Or how you confided in me that you were terribly homesick when you stayed in a hostel? Or the description of your ideal partner that was in your head? On how ecstatic you were on finally meeting ´The One´ or being a mother? How guilty you felt for not having a career in-between and wasting away your talent? How proud you were on cracking that job interview? On how much you missed your Mum´s prawn curry or the sight of your parents? How you worried about the future of your younger twin siblings like they were your own children? Or your first unforgettable memory of snowfall? Your dreams and aspirations for your daughter? That visual image of your old age with your husband? And how you see yourself in your retirement years? Your ultimate fantasy? We don´t have such private conversations anymore. You are too busy for me of late unfortunately. I understand perfectly that work and family keep you busy. But, what about me? Don’t you care about us anymore? I see you busy nowadays immersed in your own world. Do you have the time anymore to lift your head from your work and smell the roses around? Are you giving away too much of yourself to others and losing yourself in the bargain? Or are you immersing yourself too much in your own world and losing others in the process? Have you made time for old friends while making alongside new ones? Have you checked up on your New Year Resolutions? How are you progressing on that front? Didn´t you put me as one of your priorities in there as well? Do you practise what your preach to your daughter – ´Listen and obey your parents´? Are you resting enough and keeping your health on priority as your parents advised you? Are you listening enough to your parents or you think you know it all? I know you are trying hard. But, is it good enough? Not for you alone but is it good enough for others that you love as well. I know I sound like a nag. Almost, like your Mom and Dad. But, that´s because we care and love you. Pardon the nag in us! Please hear me out! Tina! Remember always to never lose sight of the reality while pursuing your dreams. While you must certainly fly and aim for the stars, it is also important to stay immensely grounded and humble on Earth. We live in a world of ´make-believe´ hoopla of hype around us. You are not just ABC or XYZ. All this is simply an illusion that people are running after. Be wary of false titles and crowns. You are also a daughter, sister, wife, mother, daughter-in-law, friend and more. Know that distinction between reality and illusion. Have you stayed true to yourself, your belief systems and your writings? Or do you sway to the herd? Do you write for effect and what people want to hear or do you write being in sync with your soul? Never lose focus of what you stand for and how you were raised to be. Never forget the real-life heroes in your own life while you encounter so many projected ones. Your success should be a source of happiness and joy for people around. Beginning with your parents who raised you to be who are you, siblings, husband, daughter, extended family and friends around. Your success should not have been earned at the cost of someone else´s tears. It should be spotless and inspirational. So, should be your failures – perfectly ´flawsome´ and inspirational. I really wish you all the love, joy, health and success in the world. But, in between all these worldly pursuits, I wish you spent more time with me. If ever you need a hear, please remember I am waiting patiently for you. Always have..Always will. My arms and the doors of my heart are always open for you. Hi Natasha! Hahaha…Yes! Because it was supposed to my conscience…it was meant to be pricking…. sort of..but out of sheer love and concern. A nagging force to walk on the right path and do the right thing….and blah blahh blah. Conscience – Our reality check or mirror! Thank you so much! Yes, I did see your letter…titled Dear Natasha and realised we took on a similar route..but then when I saw the positive tone of your letter and it was self-titled..it was definitely different even though seemingly similar at the outset. Yours was a self-titled letter. Mine was more ..let´s put it supernatural…extraterrestrial …inner voice of God speaking or conscience, plainly put! 🙂 Cheers, my friend! 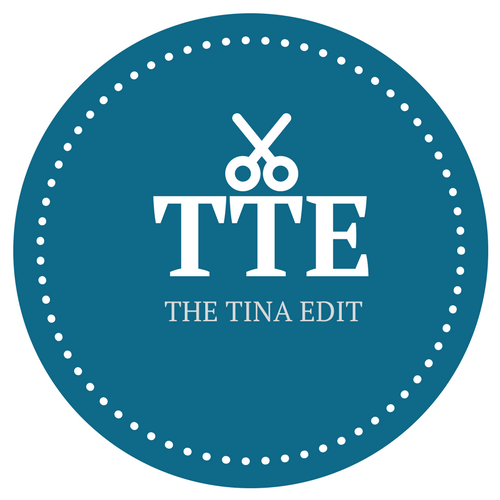 So lovely reading your post, Tina! I can relate to how you would have felt writing this. Sometimes we have to be a little gentle to ourselves for the little things that pull us down ever so often, because truth is, nobody is perfect. We gain so much wisdom in hindsight, learning as we go along the ups and downs of life! Lovely take on the prompt! Hi Esha! First a warm welcome to my blog! Absolutely! Even though we cannot be perfect, there is always a nagging conscience behind that garb of perfection that we portray. It was this guilty conscience talking to me…to be in-sync with your soul..your true reality than a projected image of yourself to the world. Thank you much..glad you enjoyed the read. Absolutely, we learn from the ups and downs both. Keep reading! Love and Cheers! This is a pack of profound messages to self put together. Loved the tid bits of wisdom you give yourself here right from nurturing yourself and writing your heat out rather than follow the herd. Thank you so much, Akshata! So glad you appreciated this one. Whether it is as a writer or just as human beings, it is so important to stay in tune with your core self or conscience. Whatever it is that you believe is right or wrong! Keep reading, my dear! Hugs! Tina, our conscience is keeps reminding us time & again and but only few actually listen. Your letter portrays that you listen to your conscience and that is what makes you the person that you are! Awww, Aesha! Thank you so much! You hit the nail on the head…we all have that conscience and very often, most of us choose to ignore that little voice inside us. Me too..that´s why this guily conscience letter. Am no saint..but trying to listen more to the lil voice inside. Can be tough call at times..:) Keep reading, my friend! Hugs! Hahahahaha! Apeksha, you just cracked me up. Love the way you rubbed it in…lol. Thanks for laughs. And a warm welcome to my blog. Love and Cheers! Good Morning, Rajlakshmi! So good to see you here. I feel exactly the same way…especially the old friends and spending too much time online part. Sigh..but self-realisation is a good start…Im challenging myself to make one random phone call everyday to connections I know. Like really listen them out..been going well since the last 3-4 days..lets see how long that lasts. But, it surely does feel good and much better than chatting up online. 🙂 Have a great day! Hugs!